Ever feel a bit bleary in the morning? Eyelids heavy? Brain in a fog? I’m not a morning person. I wish I could get myself out of bed early more often, hear more dawn choruses of birdsong, see more sunrises. 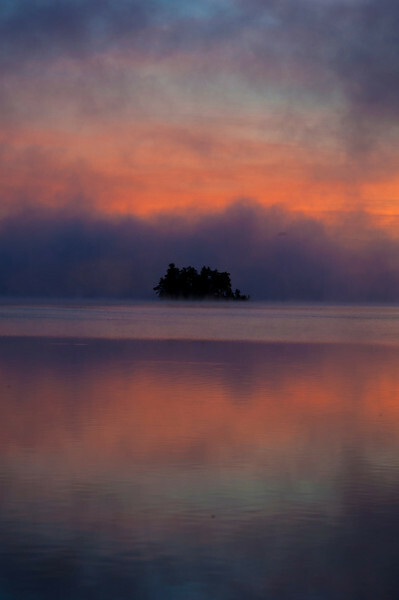 Thanks to Wells Horton for this, which may be the most beautiful morning photo I’ve ever seen. When I just can’t seem to pry my eyelids apart, I turn to an ancient luxury—I give myself a facial. Cultures from Iroquois to Ancient Greek advocated the benefits of inhaling steam from water in which certain plants are placed. For mornings when it’s unusually hard to part from the pillow, I turn to Eastern White Pine (Pinus strobus). 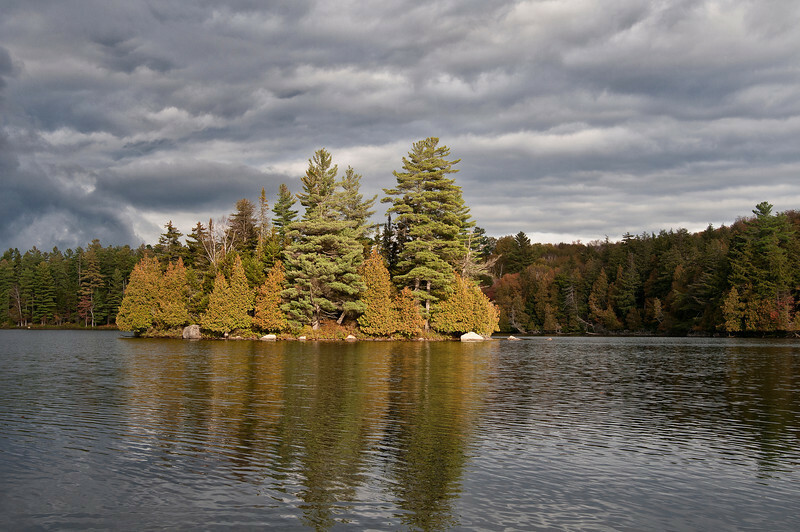 White pine is the tree of the Adirondacks. No other tree looks as ragged, unsymmetrical, and lovably awkward against the skyline. For mountain-lovers, the fragrance of pine is like coming home. 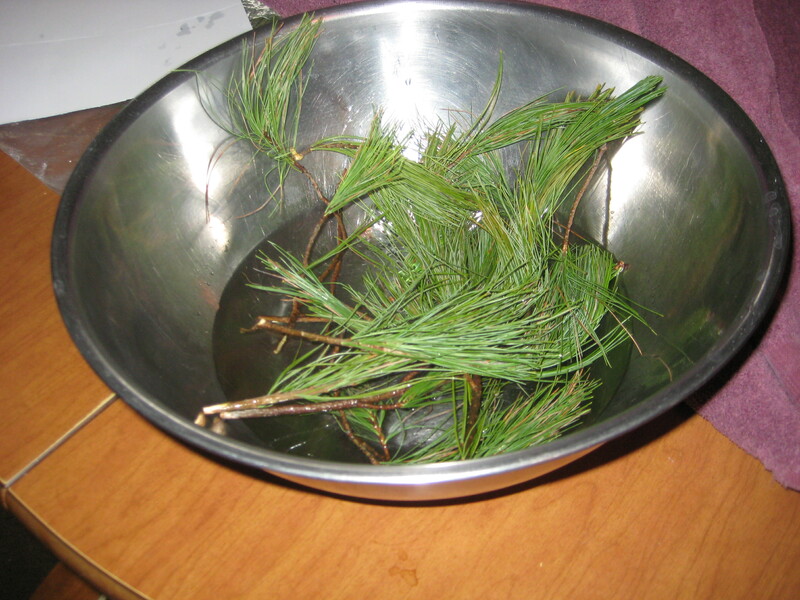 Native Americans used White Pine as one of their most common remedies, for coughs, head colds, throat infections and consumption—all sorts of breathing types of ailments. White Pine Cough Syrup quickly became an American folk remedy, still much used today. Pine resin has strong antibacterial and antifungal properties, and is used in treating wounds and fighting infection in the folk tradition, which is so often based on a strong bedrock of science. 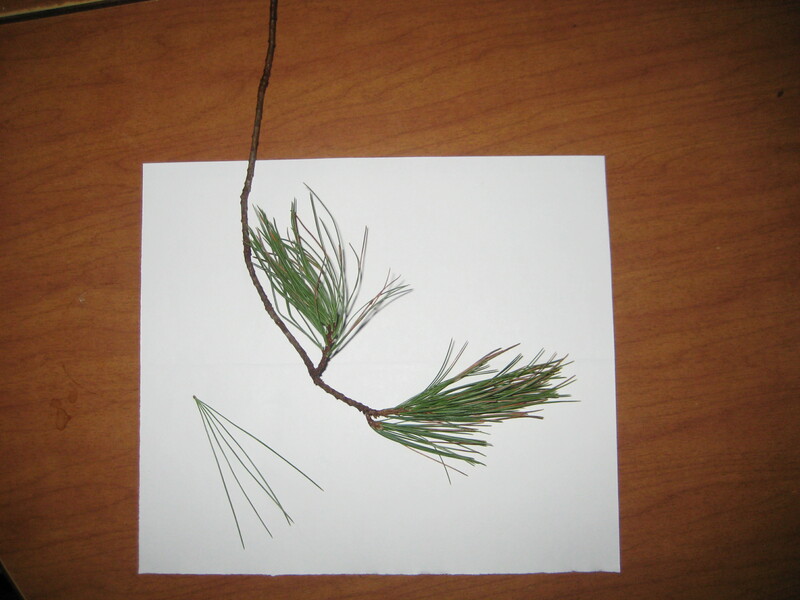 Eastern White Pine is pretty easy to ID. The long, soft needles come in fascicles—neat little packages—of five. W-H-I-T-E, 1-2-3-4-5: easy to remember. Any pine will work, though. There are dozens of species of pines which are loaded with vitamin C and good for coughs and colds, but White Pine has less of the overpowering turpentine taste and smell. Be warned. I’m not a medical professional, or even an amateur. I make no medical clams whatever for this treatment. I just know it gets my eyes open in the morning even better than coffee. 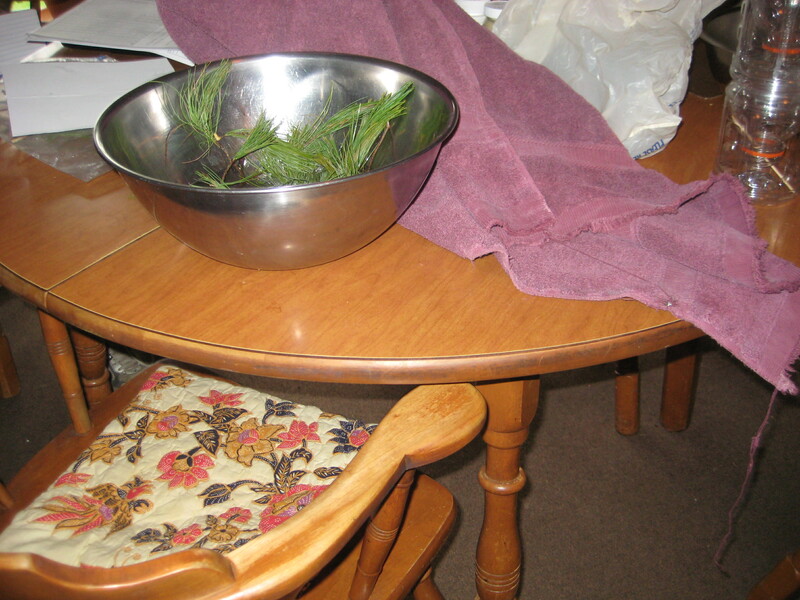 Put pine needles, twigs, bark, any part of a pine tree whatever, in a bowl. Boil water in a tea kettle or something. Drape a towel over your head. Careful, the steam is–this is one of those insanely obvious safety reminders–hot. Let the steam caress your face, open your pores. It’s even supposed to reduce wrinkles. Feel the moisture in your sinuses, the warmth on your throat.